Let us just put it out there: watching a theatre show is far more rewarding than watching a film. And because we love our plays, we have our favourite haunts we often stalk on social media to stay updated. If you’re a theatre lover yourself, bookmark this list of the best theatres venue in the city. How’s the venue: Started in 1975 by the Prithviraj Kapoor Memorial Trust and Research Foundation, Prithvi is one of the oldest and the most prestigious theatre venues in the city. 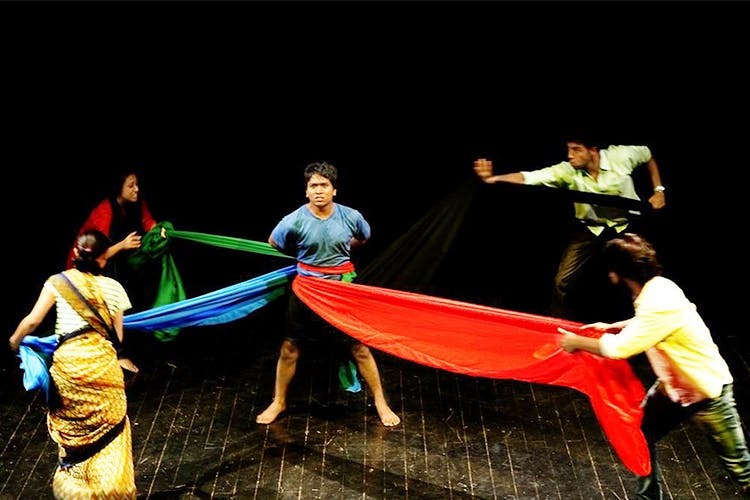 With all top-line theatre artists having performed here, Prithvi has a legacy that has spread the magic of theatre and plays through generations. Languages: Hindi, English, Marathi and Gujarati. Timings: Open from Tuesdays to Sunday with regular show timings between 6 PM to 9 PM. Pro Tip: Prithvi theatre is supremely strict about timings, more than your science teacher could ever be. A minute later than the scheduled time and you will be denied entry irrespective of excuses. How’s the venue: Hosting more than 700 events through the year across drama, contemporary dance, orchestral concerts, opera, jazz and chamber music, NCPA is the most holistic performing arts venue in the whole of India. Languages: Hindi, English, Hindustani, Sindhi and other regional languages. Timings: The box-office is open all days from 9 AM to 7 PM with plays generally slotted for the evening. How’s the venue: A spacious hall with a seating capacity of 250 people, St. Andrew’s Auditorium is a sought after venue with modern technology and infrastructure that enhances any play watching experience here. Timings: Most plays are slotted in the evening, after college hours, between 6 PM to 9 PM. How's The Venue: A small cozy venue, the Cuckoo club doubles up as a space which is fit for all performing arts. With events lined up every single day, you can either keep a check on the upcoming events on social media channels or just walk by the space in Bandra to see what’s on for today and step in if it interests you. Timings: The space is operational from 8.30 AM to 11 PM, but the plays are generally slotted for the evening.